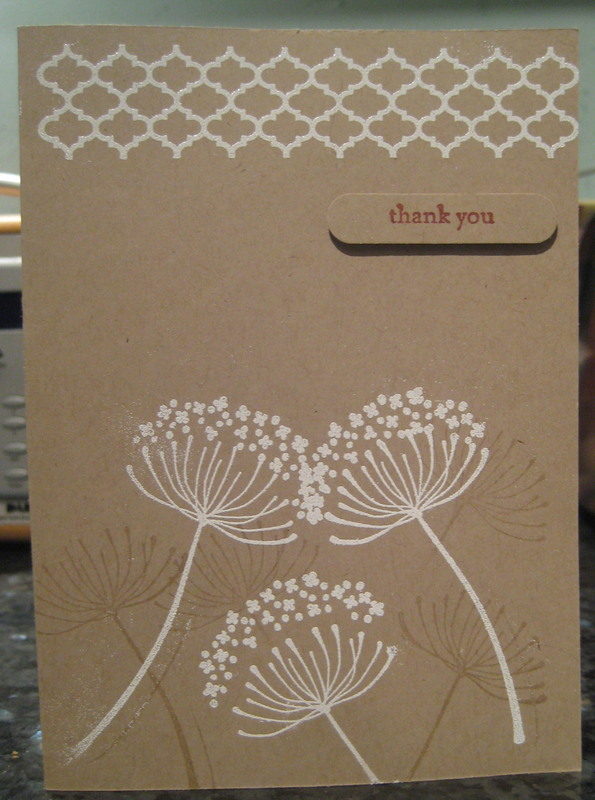 I had a Stampin Up delivery today, and in the box of goodies was the Summer Silhouettes stamp set and Old Olive ink. I have had my eye on these stamps for a while, and I think it is beautiful. This is my first go at using it. I think that this is an incredibly versatile stamp set and could be made to look either quite masculine or feminine depending on the choice of inks and cards. 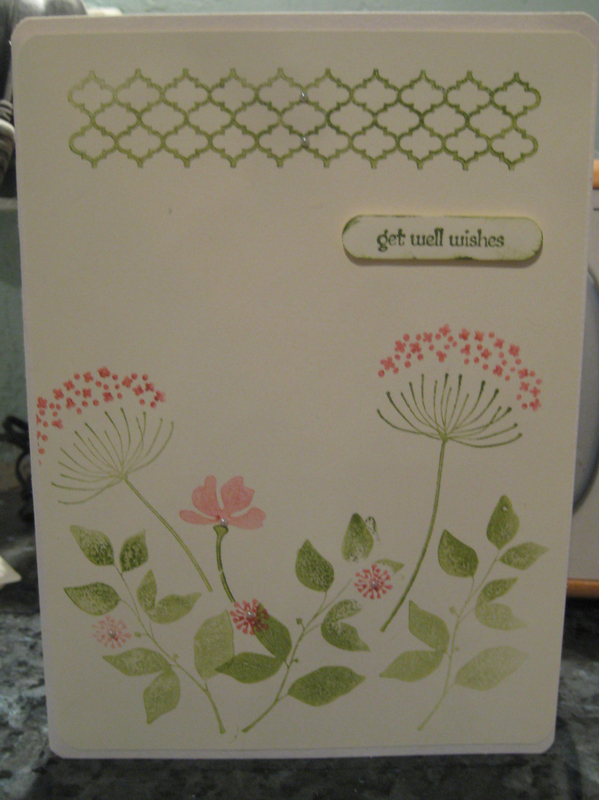 I have gone for a more feminine look, using Old Olive with Primrose Petals and a few pearls dotted about. For something a little more masculine, you could stamp in one of the neutrals range of cards and inks, Smokey Slate perhaps with a touch of basic grey; or go for a brown pallet, the choice is yours. Have a think and let me know what you would do with this stamp set. 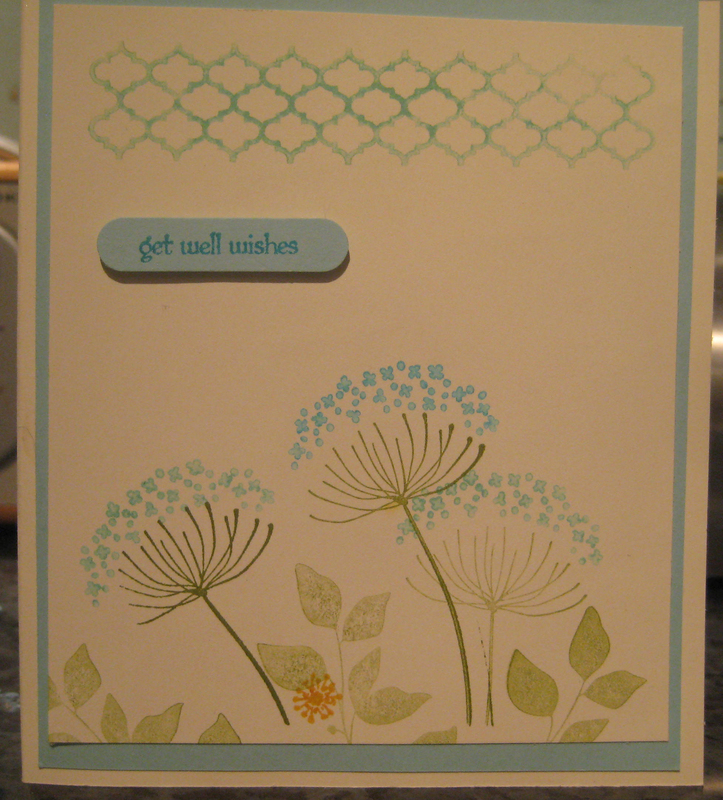 I love this stamp and it looks so pretty in the colours you’ve chosen.